New Coffee Shops Open In Glens Falls NY! North Country Coffee Café Opens! Downtown Glens Falls has many great restaurants and businesses, but ask any local what's missing and they are sure to say a coffee shop! Since the close of the Ridge Street Coffee Company in March 2010, residents have have missed having a coffee shop downtown. Now the community is happy to welcome, not one, but two new cafés to the area. The North Country Coffee Café is now open and the Orange Cat Café is coming soon! 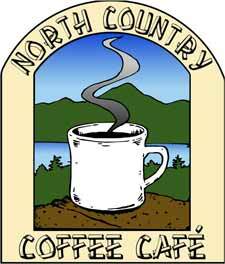 The North Country Coffee Café is located at 11 South Street in Glens Falls NY and offers a selection of delicious coffees, baked goods, and lunch items including soups, wraps, and salads! The café is situated in the historic Empire Theater building, which was constructed in 1899. The building once housed a movie theater and a grand ballroom! While the café has been completely renovated, the space has kept its original high ceilings and large window store-front! The North Country Café was welcomed with open arms by residents and received much more business than anticipated. Since July they have added 5 employees! Also, keep an eye out for the Orange Cat Café! The café is scheduled to open later this month on Elm Street in the space that was once home to the Boston Candy Kitchen. The owners plan to have a vintage, cozy feel and a selection of organic coffees! Residents can now enjoy great coffee at two historic locations downtown! For more information please call North Country Coffee Café at (518) 792-6222.